cleansing my face might be my favourite step in my skincare routine. i love my face to feel all clean and i’m constantly trying to improve that very step of my routine. over the past years every sort of cleasing tool or brush had its very big moment. its either clarisonic o r the foreo luna but either of them have a huge following and loyal users. my best friend loves her foreo luna and keep on talking about it and i actually have been thinking about buying one myself. 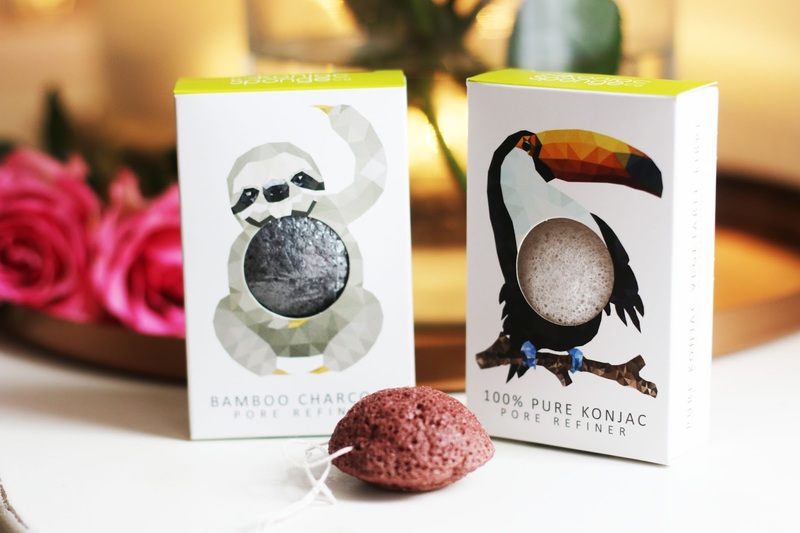 a few weeks back an e-mail landed in my inbox from konjac sponges. they do an all natual facial puffs and just released a mini raindforrest inspired collection* and offered me to try them which is just lovely and i was so excited to improve my cleansing routine. the collection comes in 4 with mini pore refiners. they are all infused wit clays and charcoals. 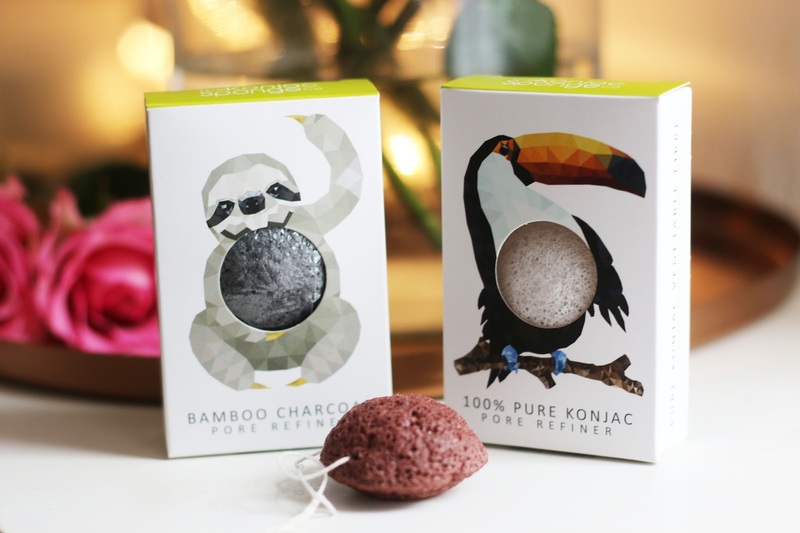 the set comes with a red clay monkey sponge, a pure konjac toucan sponge, a french green clay monkey sponge and a bamboo charcoal sloth sponge. all of the added clays and charcoals have differenct benefits to the skin. so far i tried the red clay one and passed the french green clay one to my sister as she was very interested herself. 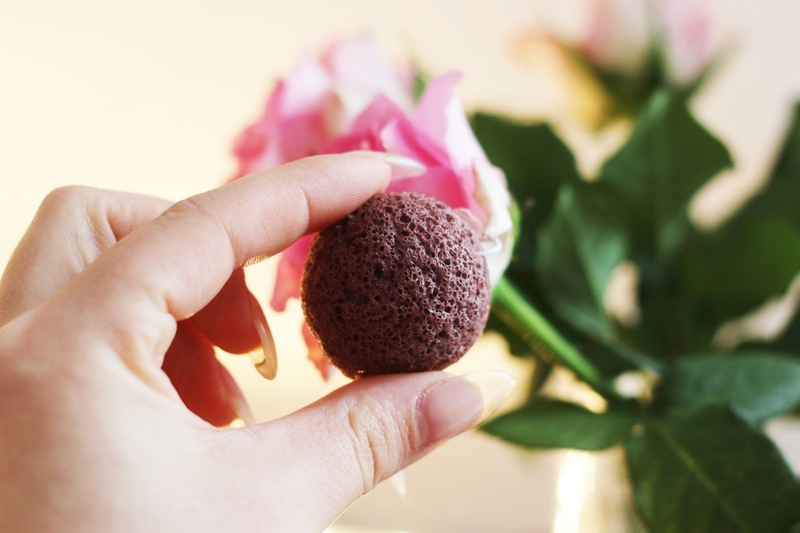 konjac sponges are created from all natural fibres and are vegan and cruelty free. they are meant to be used either with your cleanser or just on wet skin my soaking it under water first. it claims to exfoliate the skin very gently and improve the skins texture by minimizing pores. first off all, i adore the rainforrest themed packaging. its almost too cute to unwrap. for testing a konjac sponge i went for the red clay one as red clay is supposed to make the skin appear more radiant which is what i want since i have dehydrated skin. since i have never tried any sort of facial sponge i didn’t really know what to expect. the sponge in dry form is very hard, almost like a little pebble and it puffs up and gets super soft as soon as water hits it which is very cool to see. it feels so squishy and i us it with cleanser at night time and just with water in the morning. it makes my cleanser foam up more and i feel like it makes it work even better. on top of it my skin feels so soft after using it and just clean. i had some problems with the texture of my skin as harsh peelings don’t work too well on me but this little sponge changed the look of my skin. i do feel like i look more radiant and fresh. my skin is soft and my pores around my nose seemed smaller. even my mum asked me a few weeks ago if i changed something in my routine as my skin looked so good. when i’m done with my routine i just hang it up in my bathroom and make sure to not weirdly twist it when i’m done. 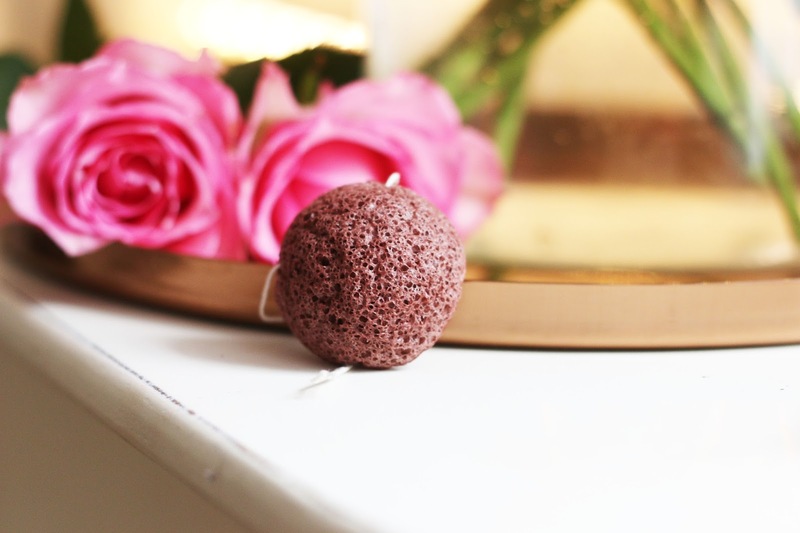 after using my konjac sponge for about a month i just can’t be without it. i just feel like my skin needs it and i feel like my skin is not completely clean, especially when i don’t use it at night. 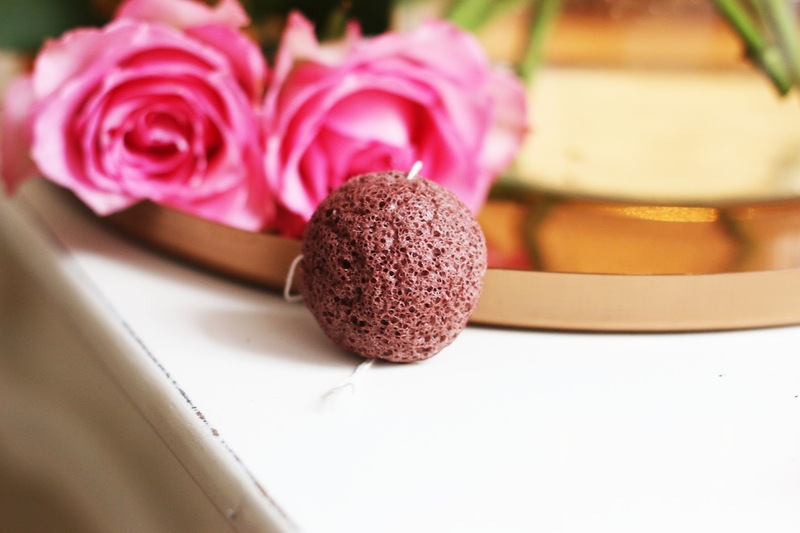 obviously i can’t compare it to a cleansin tool such as the foreo luna but the mini konjac sponge has been working so well for me and my skin and i woud highly recommend it.